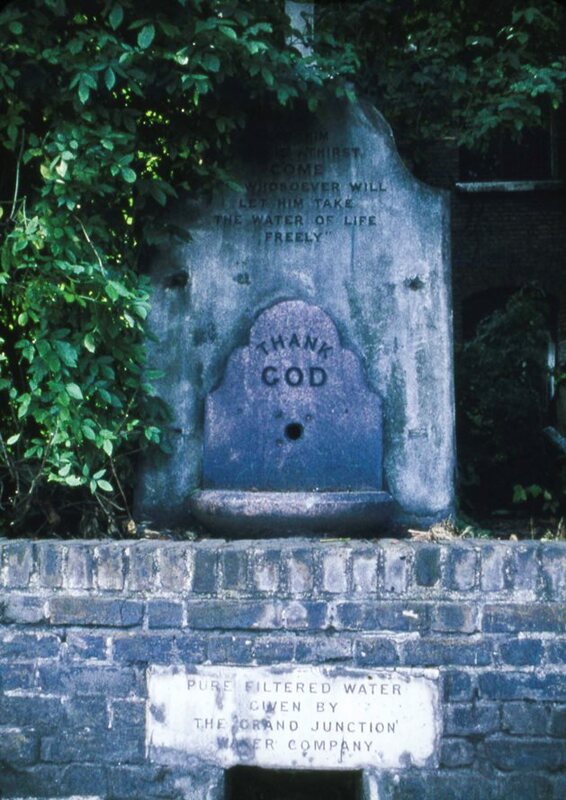 Peter Young's photo was taken on 16th July 1972 and shows the drinking fountain just inside the walls of St Lawrence's church yard. Here it is a little overgrown, some of the lettering hidden by greenery, but in a better condition than 35 years later, when Dave Stoneleigh took a similar view (includes a little history too). By 2008 cracks threatened its fabric but a check on StreetView shows it was still in one piece in October 2015.